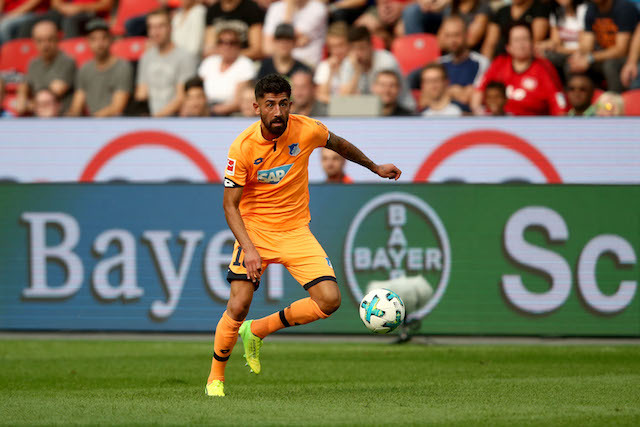 Liverpool has maintained their interest in Hoffenheim midfielder and Germany international Kerem Demirbay. The German outlet Bild closely linked with Liverpool and Arsenal with a move for the deep-lying playmaker earlier this year. The transfer never materialized after Demirbay picked up a lengthy injury and penned a new deal with the Bundesliga club. However, a source close to the player has revealed to Turkish-Football that Liverpool have maintained an interest in the 25-year-old and are still in contract with the player’s representatives. Demirbay is represented by the Arena11 sports group, who also represent Liverpool duo, Sadio Mane and Naby Keita. The Germany international only recently regained his place in Hoffenheim’s starting eleven and played the full 90 minutes during his sides defeat to Man City in the UEFA Champions League. Demirbay has provided one assist in four appearances for the Bundesliga club this season. The Herten born midfielder of Turkish descent has four years remaining on his contract with Hoffenheim. Liverpool boss Jurgen Klopp was the manager of Borussia Dortmund when Demirbay left to join HSV in 2013. The 25-year-old spent three-years at Hamburg prior to his move to Hoffenheim in 2016. The Reds are back in action this weekend when they take on Huddersfield in the Premier League.